As a home gets older and settles, it’s only natural that its foundation will begin to weaken. 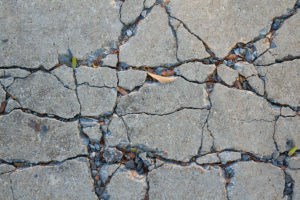 This can cause a variety of issues, such as cracks in the walls, warped ceilings, insufficient water drainage, crumbling concrete, and many other foundation-related problems. If you have noticed any of these issues or others, it may be time to call Allmaster Home Services for a foundation repair solution. As a top home improvement company that has served the Lutherville-Timonium, Maryland, area since 1987, we have helped countless homeowners just like you resolve their foundation problems with our full-service approach and dedication to each customer’s complete satisfaction. What sets us apart from other foundation repair companies is that we will take the time to thoroughly assess your situation and formulate a unique plan that is catered to your specific needs. We know that many factors contribute to an efficient foundation repair. Rather than simply offering a cookie-cutter solution, we will ensure that we look at every aspect of your home’s needs before recommending any work. As a result, you will avoid spending time and money on an inefficient foundation solution. To learn more about the full-service foundation repair solutions we provide for homeowners in and around Lutherville-Timonium, MD, contact Allmaster Home Services today.